Beech Interplex has been involved with several projects in and around the Cecil B. Moore Community since its foundation in 1990. 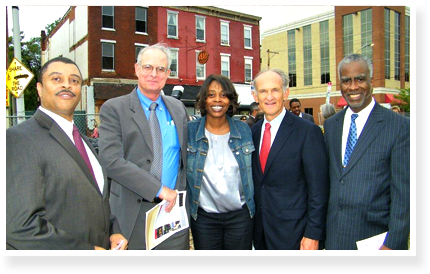 These projects have focused on improving the community and its surrounding neighborhoods to facilitate positive change for the residents. To complete these projects, Beech Interplex has joined forces and collaborated with many Philadelphia organizations as well as fund projects itself. Below are lists of the projects Beech Interplex has participated in. Beech Technologies is a host partner in the 2014 Google Summit in Philadelphia. The Google Summit is the premiere conference on educating teachers of technology to urban based school districts and students. Creative Tech Works @ Beech is a Coding/Programming Academy for youth 16-21 who live or attend school in North Philadelphia. The program has received national acclaim as a model in Science/Technology/Engineering/Math (STEM). 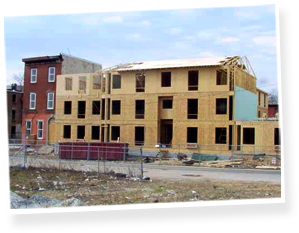 Beech Homeownership has built over 1,000 new units of low and moderate housing throughout North Philadelphia. Beech International, a 50,000 square foot green/smart, mixed-used building for 200 International students and research scholars. The building also contains a garden plaza for entertainment/social activities, office and retail space. NBC/Beech Television-Radio Studio. In partnership with NBC Television, Beech launched a community television/radio studio in the Beech Interplex building in 2008. The studio is used for live and recorded programming, film production and community meetings. Construction of an 8,000 sq. ft. childcare services & retail storefront building occupied by Women's Christian Alliance, Compro Tax & Mahtah, Inc.
Properties Developed by Beech Interplex, Inc.
Beech Care Buildings: New construction of 2 two childcare services & retail buildings, totaling 20,000 sq. ft.
Providing more than just hope.